The topic of this week’s WordPress Weekly Photo Challenge is BLUR. There is a particular place in my garden that, whenever I approach it in season, I always find a bumble bee patrolling that specific area. It has never accosted me with hostile intent, but it does buzz around and make me just a tad nervous. I know it’s protecting its turf, but, who knows, the bee may be protecting me as it runs off other bumble bees that come into the area. Is there such a thing as a good bumble bee or a bad bumble bee? This is the third year in a row that this is happening, and it’s clear to me that I am invading its territory. 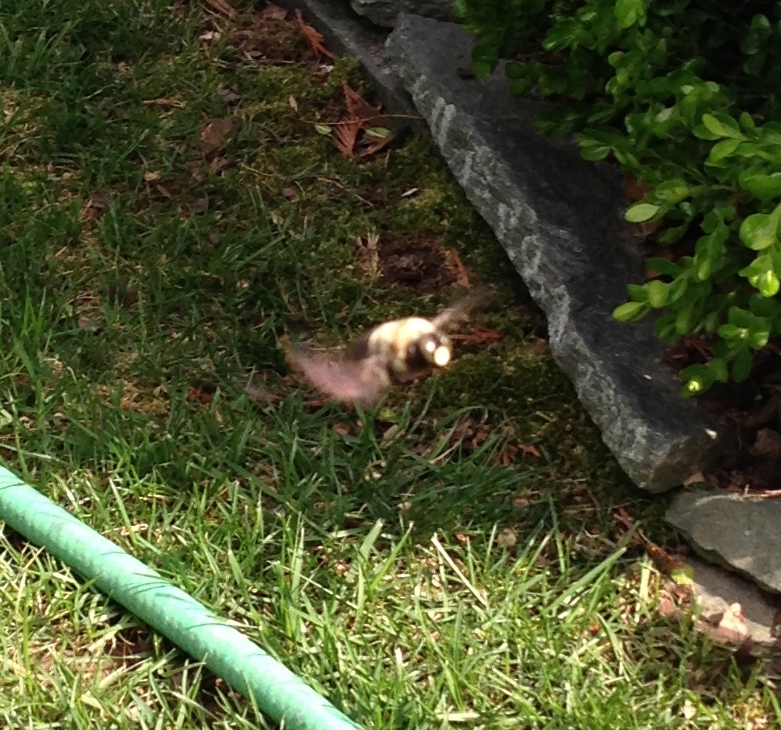 Have you ever tried to capture a photo of a bumble bee in flight? It took me a lot of camera movement, but I finally caught it. I apologize because its wings are just a blur. This entry was posted in Weekly Photo Challenge and tagged bumble bee. Bookmark the permalink. Thanks. Sometimes these things just happen…a specific challenge and the bumble bee just shows up on cue.